As business or property owners, we all mean to replace things that are desperately out of date – but time and money often means it’s not a priority, particularly if they haven’t completely broken down yet! However, as we also know too well, updates to legislation and regulations can often leave us caught out when something old suddenly isn’t up to scratch for legal reasons, as well as physical ones. This is exactly what happened to a customer of ours, who operated a commercial vehicle garage with multiple units as part of their business. Not only were their doors a little bit worse for wear, they were also old enough that they did not meet more recent safety standards for industrial doors of their kind. 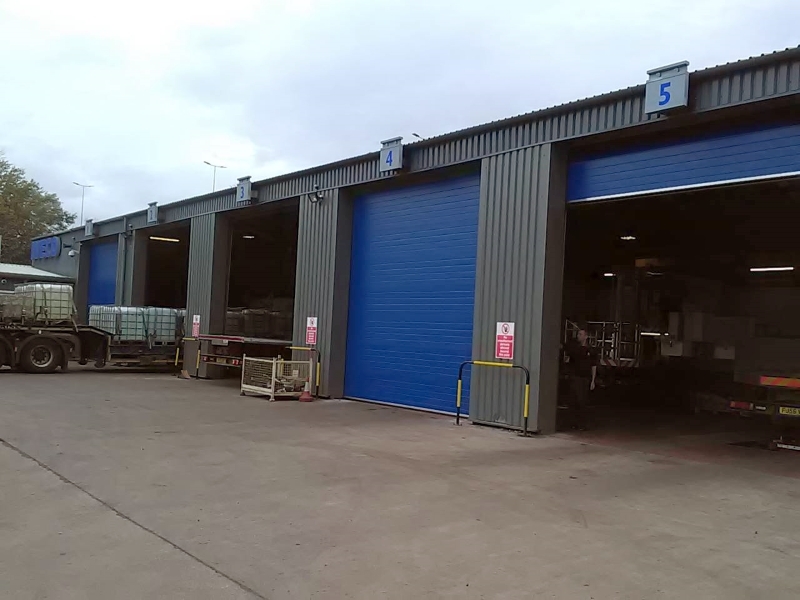 The original doors had been installed prior to updated legislation from the HSE which states that all industrial doors classified as machines require safety devices to stop them from falling back, stopping within a short distance in the event of product failure. 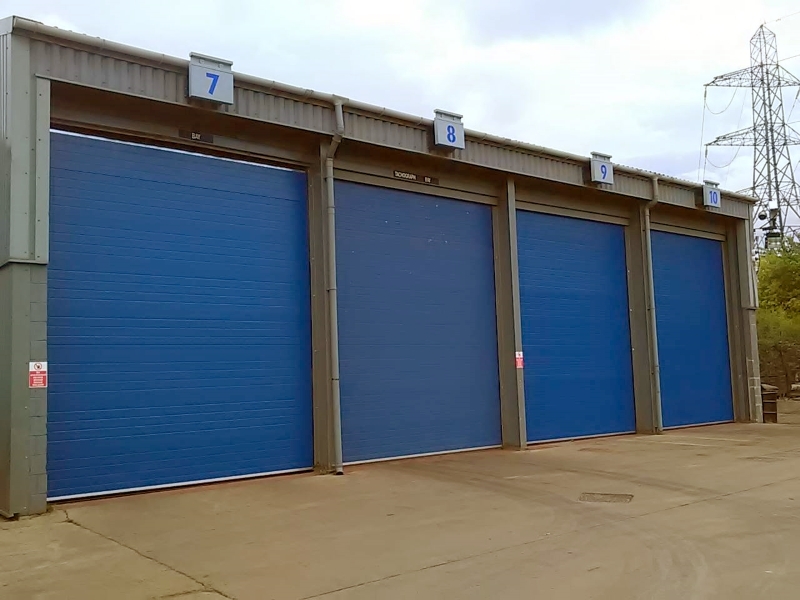 Sectional doors should have devices installed to stop the door from going into freefall if the cables, springs or motor break, to prevent injury for anyone working nearby. Often, doors can be retro-fitted with the right parts to bring the doors up to standard. However, if there isn’t room to do this, or if doors are too old for the devices to be fitted, then new doors will be needed. 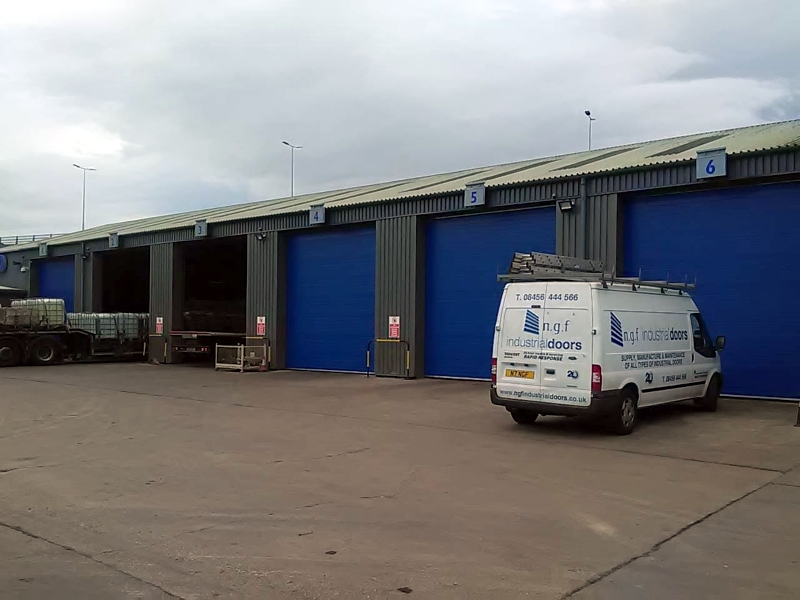 We were able to help with a great value replacement, which included seven new sectional overhead doors, all in a matching blue finish, which stands out nicely against the grey-blue building. The doors also feature three-phase electrical operation, with safety features to prevent freefall, keeping our customers up-to-date with legislation. 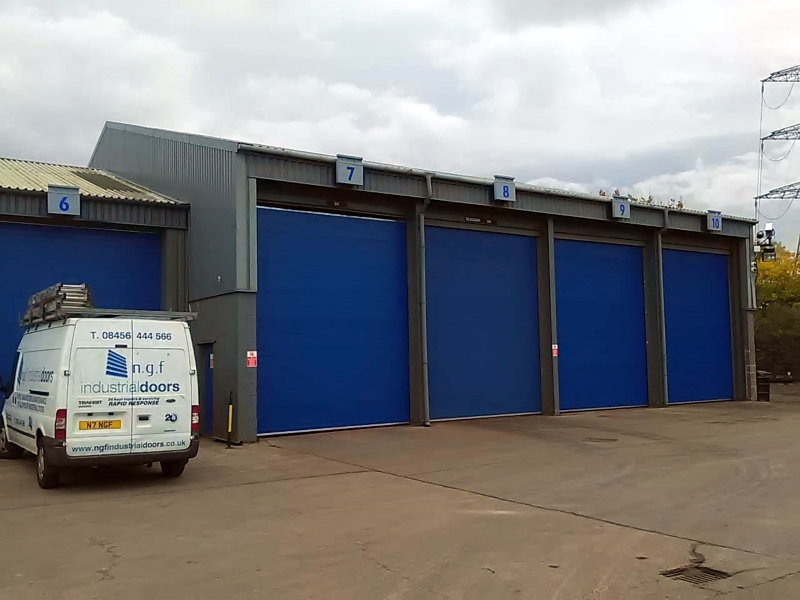 Replacing seven doors on a busy site is a big job, so we worked around the client so as not to impact their business operation – we carried out a phased installation that saw us remove and replace the old sectional doors one at a time. All in all, the whole process took just over a week, with minimal disruption. If you’d like a quote for a replacement or repair of your own, please don’t hesitate to get in touch. As you can see, no job is too big or complex – so don’t leave it too late!